Patients often ask me - "Why did you decide to do the extra training to become an IV Certified Naturopathic Doctor?" My answer is, "because this treatment works and it works fast!" I first became interested in intravenous (IV) therapy while in a severe flare while attending naturopathic medical school. My Naturopathic Doctor at the time thought that I could benefit from IV Therapy and I sure did. Within 48 hours my energy was better that it had been in months and the flare-up that I was in started to turn around after consistent treatment. I knew I had to be able to offer this kind of help to people with inflammatory bowel disease (IBD) because of the immense value it could bring to their overall quality of life. The fact is that patients with IBD have a harder time extracting the nutrients from their food as the integrity of their digestive tract has been compromised and weakened by inflammation. The inflammation damages the small, finger-like cells in the intestine - called "villi"-, allowing the body to breakdown complex nutrients like protein into a usable fuel source for the body. Needless to say, when villi become damaged, the body's ability to derive the nutrition it needs from food is decreased. IV therapy uses high dose vitamins, minerals and natural substances intravenously. This offers a route of administration that bypasses the digestive system and goes directly into the circulatory system guaranteeing a greater concentration of nutrients into the cells. IV Therapy allows for highly concentrated nutrients to enter cells more easily in order to heal and repair cellular damage caused by chronic inflammation. It can correct for deficiencies much faster than oral supplementation. This leads to the patient feeling better and promotes shortened flare-ups and lengthened periods of remission in patients with IBD. Each IV bag is custom-formulated based on what their individual needs are. Constantly "just getting by" or "not being able to eat or do what everyone else is eating or doing" or feeling like " your life has to be put on hold" is not conducive to a healing state of mind. Sometimes feeling just a little bit more "like you" is all we need to keep working on getting better. To find our more about the how IV Therapy could benefit you please call Naturopathic Foundations Health Clinic at 905-940-2727 to book an appointment with Dr. Kimberley Ramberan, ND. This is the fifth in a 12-part series on the Irritable Bowel Disease. We encourage you to check out the other blogs by Dr. Kimberley Ramberan, ND. Winter season is travel season for many. Increased accessibility to global travel offers the luxury of escaping the cold weather and heading to warmer climates to relax, enjoy the warmth of the sun and enjoy new experiences abroad. Travelling is an opportunity to take time for yourself, spend time with family and friends, immerse yourself in cultural activities and new adventures to break the regular mundane routine. Depending on the purpose, location and duration of your trip, your travel may range from being hectic to relaxing, low risk to high risk, and overstimulating to rejuvenating. Being adequately prepared for travel ensures a more enjoyable and healthy trip. Travelling can be exciting. However, it may expose you to new situations and environments which may pose additional health risks. How prepared you need to be depends on whether you are planning a short family vacation to Mexico, or a longer solo trip to volunteer abroad, or a business trip to Asia. Based on your previous experiences, you may need more extensive preparation if travel triggers unwanted symptoms. Included below are a number of tips which may be beneficial to help you prepare for your travel. Seeking naturopathic advice can help address specific health concerns such as: jet lag, travel anxiety, indigestion, diarrhea, constipation, insect-borne illnesses, infections, parasites, cuts, burns and altitude sickness. The tools that a naturopathic doctor has access to can support prevention (prophylaxis), diagnose and treat travel-related illnesses. Sleeping patterns and food habits may shift drastically on a trip. By supporting the body, the chances of travel-related illness may be reduced. In addition, supporting mental and emotional health in unfamiliar environments is critical to well-being. Every individual is unique with inherent strengths or weaknesses. Depending on your constitution, certain organs or body systems may be more susceptible to illness. For example, individuals with weak immune systems may become more vulnerable to respiratory tract infections; individuals with circulation issues may experience swollen feet and ankles after a flight; individuals with anxiety may experience panic attacks triggered by the stress of travel. A naturopathic doctor can help you identify and treat aspects of your health which require strengthening, as well as treat illnesses contracted during a trip. Jet lag: shifting from one time zone to the other can have a significant impact on the body's circadian rhythms which regulate our sleep/wake cycle. Melatonin is a natural hormone that is made by the body which helps us sleep. When changing time zones, melatonin production may take a while to readjust, leading to symptoms commonly associated with jet lag. For individuals struggling with jet lag, natural melatonin supplements or nervine herbs can help your body readjust more quickly to the local time zone. Sunlight exposure also helps us reset our circadian rhythms and reduces the effects of jet lag. Infections: cold, flu, and parasite exposure multiplies when travelling. Coupled with a weakened immune system, travellers become more vulnerable to illness. With naturopathic medicine, you can keep the terrain strong to prevent microorganisms from thriving. When the environment is unfavourable, parasites are less likely to thrive. If you do contract parasites, proper diagnosis and treatment options can be provided by your naturopathic doctor. Certain herbs have specific properties that are anti-viral, anti-bacterial, anti-fungal and anti-parasitic to target the pathogen and support your recovery. Digestive issues: diarrhea, constipation, indigestion are the most common unpleasant "side-effect" of travelling. Ingesting new foods from unknown sources, combined with the stress of travelling can lead to a range of uncomfortable situations. Traveller's diarrhea can be very unpleasant and prevent you from enjoying your trip. Constipation may develop due to anxiety or due to poor hydration or lack of fibre. Prevention is key to strengthening the digestive tract prior to travel, reducing susceptibility to digestive upset. Naturopathic medicine can treat acute digestive issues, allowing you to enjoy your trip. Travel anxiety can escalate into more severe anxiety and fear. Panic attacks triggered by fear of flying can leave an individual exhausted and terrified of future travel. If you are a worrier and experience anxiety frequently, herbs and homeopathic remedies that support the nervous system can help you relax, along with meditation techniques. Altitude sickness: when travelling to mountainous regions such as the Himalayas, Andes or the Rockies, the sudden change in atmospheric pressure and oxygen can result in dizziness, nausea, fatigue and more serious symptoms. Supporting the circulatory and respiratory systems are critical prior to your trip. A naturopathic doctor may do lab work to check your hemoglobin and iron levels, and suggest herbs, homeopathics and lifestyle suggestions to reduce the risk or altitude sickness. Mosquito & insect bites may carry infectious diseases. Malaria is prevalent in many tropical regions and can be a serious health issue if not diagnosed or treated promptly. Know the risk at your destination and which prevention and treatment options are available. Reduce your risk of infectious diseases in the first place by reducing your chances of being bitten. There are numerous internal and external options to ward off insects, in addition to diet and lifestyle factors. Bitter foods, homeopathics and herbs, such as neem, can repel mosquitoes, as do a variety of essential oils. First aid: cuts, burns, bruises are unfortunately common scenarios while travelling for adults and children. Help prevent infections and complications by carrying naturopathic first aid supplies such as lavender oil, aloe vera gel, or calendula cream for bite or burns, arnica cream or homeopathics for bruises and sprains, in addition to bandaids and gauze. These can help in minor injuries, or carry you through until you receive medical attention. A naturopathic doctor can help you prepare for your trip, help you to stay healthy during your trip and improve recovery after your trip. When you are adequately prepared, you can reduce your chances of travel complications such as traveller’s diarrhea, parasites, infections and fatigue. Naturopathic medicine can assist you with any pre-existing conditions which may flare up during travel and help you recover from acute illnesses contracted while abroad, to ensure healthy re-adjustment. Staying healthy while travelling will allow you to enjoy your trip to the fullest and open you to a world-full of exciting experiences. Wishing you safe and happy travels ! Have you ever felt "sick to your stomach" or had a "gut wrenching" experience? As a naturopathic doctor, I often encourage patients to explore their "gut feelings" and trust their "gut instincts" especially when making a difficult decision. This is one example of the "Gut-Brain Connection". The connection between the gut and the brain goes both ways. A "distressed" intestine sends signals to the brain, just as a "distressed" brain sends signals to the gut. Therefore, your digestive symptoms can both be the cause and the product of anxiety, stress and depression. When emotions are causing your gastro-intestinal (GI) symptoms there is often a delay between physical findings, such as a colonoscopy or abnormalities found in a physical exam. This delay, in turn, can delay the treatment for a developing disease. On a personal level, I recall that when I was young whenever I got really upset or nervous my stomach would start to hurt and I would end up having to go to the bathroom more frequently. As I got older I noticed these symptoms occurred more quickly whenever I was frustrated or overwhelmed. What I also realize now was that my symptoms became more easily triggered by small stressors. When my doctor would ask me if I felt stressed I would often answer "I don't feel stressed" because I had yet to make the link between my digestive symptoms and what was going on in my life. As time went by my physical tolerance for stress decreased. The build up of stress culminated in even more significant symptoms such as blood appearing in my stool. When my doctor did the initial scope and blood work it indicated that everything was fine as he was looking for a physical cause. It wasn't until months after I started have blood in my stool that the physical manifestation of my emotional stress presented itself. As naturopathic doctor is trained to treat the whole person and to recognize the link between the gut and the brain. As such, a naturopathic doctor, particularly when there is an absence of physical findings, would often indicate that a patient's emotional and physical state needs to be examined to address the cause of the symptoms and to prevent the progression of any disease. When stress and suppressed emotions are the cause of physical symptoms they must be dealt with directly. 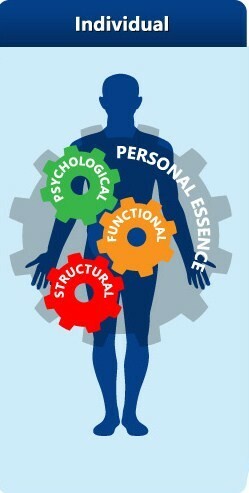 The nervous system should always be worked on in-conjunction with any digestive symptoms. 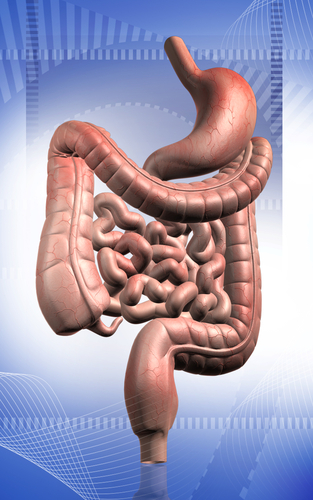 It is interesting to look at the intestines as the organ that "lets waste go". Although our gut has the physical capacity to store and rid our body of waste it can also be affected when we choose not to let emotions go. This could result in you becoming "emotionally constipated"! Having strong emotions is not a problem. It is when we have them and we hold them in or suppress them. Our body and our emotions always find a way to be heard and felt. So, if you are not addressing the emotional distress in your live, your body may consequently become effected physically and pathologically. The bright side is - our gut "feelings" can become another important instrument in our IBD healing tool box. If we start listening to our gut "feelings" and acknowledge and learn to "let go" of unhealthy emotional patterns we can control another aspect contributing to our gastrointestinal symptoms. Just as there is an inflammatory response to stress there can be an anti-inflammatory response to peace within one's self. Understanding the gut-brain connection can provide a valuable approach to any health condition, especially digestive symptoms. To find our more about the gastro-intestinal relationship with the brain please call Naturopathic Foundations Health Clinic at 905-940-2727 to book an appointment with Dr. Kimberley Ramberan, ND. This is the fourth in a 12-part series on the Irritable Bowel Disease. We encourage you to check out the other blogs by Dr. Kimberley Ramberan, ND. As the seasons change, and the climate shifts to cooler days, you may notice changes in your body, your thoughts and your emotions. The change of seasons influences people differently depending on the individual constitution that they were born with. According to Ayurveda there are 3 vital bio-energies (doshas) that make up a person's constitution: vata, pitta, kapha - each made up of a combination of the 5 elements (earth, air, fire, water, space). The 3 doshas are not only found within us, but also exist around us in nature. As we prepare for fall, it is helpful to understand the impact that the change of the seasons can have on your health. Fall is considered vata season because the qualities that characterize vata - dry and cold - are dominant at this time of the year. The weather changes are apparent with colder days, dry wind, lightness in the air and crackling leaves. Vata is made up of the air and space elements and has the qualities of dry, cold, light, moving, irregular, subtle, rough and quick. Vata loosely translates as "wind" and its function is movement - one can think of vata being their internal wind that keeps things moving. Vata body types are active and mobile, and they often find themselves doing many activities at once. Physically, those with a vata constitution tend to be thin with a light frame and energetic in bursts. They tend to be lively and creative when in balance. If any of these functions are not functioning optimally, it is likely that an imbalance with vata is involved. Due to vata's mobile nature, it is the easiest dosha to experience imbalance. Though all individuals are susceptible to the changes brought on by fall, individuals with a constitution that is vata dominant, are more susceptible to aggravation as the environmental factors add to tendencies that already exist internally. To help keep vata in balance during fall, incorporating daily lifestyle routines and eating according to your constitution can ease the transition into the cold season. The following suggestions are important for those with a Vata constitution, but are also valuable for other constitutions during the Vata seasons of fall and winter. Stay warm: Dressing in layers and drinking warm liquids can help keep us warm as the temperatures dip. Drink herbal teas during the day and incorporate nourishing soups, stews and broths. Avoid cold foods and excess raw food. 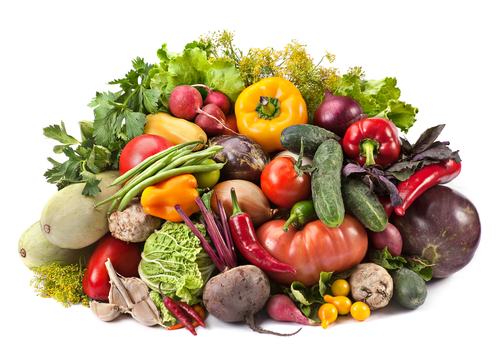 Eat a Vata-balancing diet: Choose seasonal foods that are organic and local, such as apples, squashes and root vegetables. Warming spices, such as cinnamon, nutmeg, cloves, ginger and black pepper, can also be a great addition to your meals. Flavours that are naturally sweet, salty & sour help pacify vata. Establish routine: Fall can get busy and we are soon swept off our feet and find our heads buzzing with erratic schedules. Waking up and sleeping at consistent times and eating meals at the same time each day can bring stability and help keep us grounded during fall. 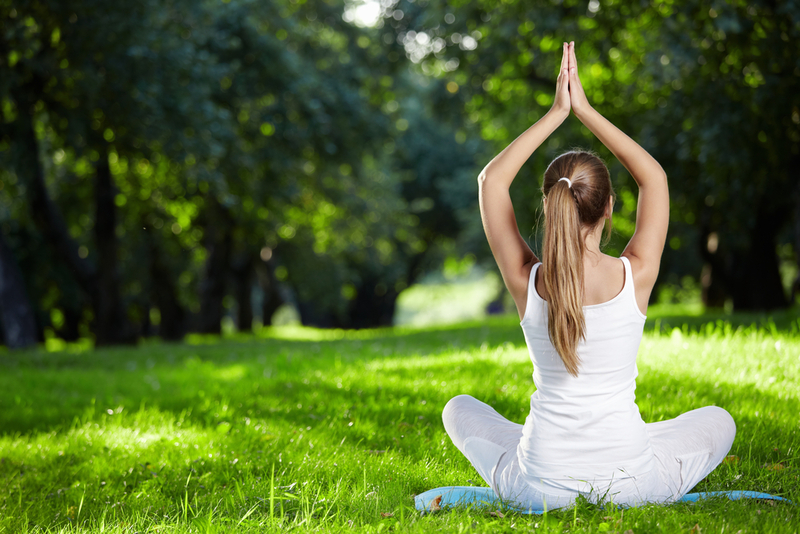 Choose rejuvenating activities: Plan time in your schedule to get sufficient rest and relaxation time. Activities that are relaxing and rejuvenating, such as curling up with a book as you sip ginger tea, taking a hot bath with essential oils in the evening or embracing meditation into your routine, are valuable at this time. Plan to get to sleep earlier as the body needs more sleep in the winter than in the summer. Enjoy oils: Healthy oils are essential in counteracting the dryness associated with fall. Internally, oils such as ghee (clarified butter) or olive oil, can pacify vata when added to your meals. Externally, warm oil massage (abhyanga) with oils can be a wonderful way to relax and nourish the skin. This can be done in the morning or evening on your own, or abhyanga can be done by a qualified practitioner with customized oils to suit your constitution. Keeping the 3 doshas balanced within ourselves is vital in staying healthy as seasons change. Ayurveda offers many tools to balance vata dosha. Only when we understand our unique constitution can we do the necessary groundwork to stay healthy in fall. When we can make changes that support our constitution, we can enjoy fall while staying healthy and energized ! If you would like a comprehensive healthcare plan which includes understanding your Ayurvedic constitution and how that impacts your health, you can book an appointment with Dr. Leena Athparia, ND, at Naturopathic Foundations Health Clinic: 905-940-2727. There are several laboratory tests that provide value in assisting with the management of inflammatory bowel disease (IBD) and that provide supporting information to assist in determining the best treatment plan. Standard laboratory tests are markers that allow your doctor or naturopathic doctor to assess for inflammation, nutritional status and to look for deficiencies of necessary vitamins and minerals. Most of this testing in Ontario is considered standard of care and should be done on a somewhat regular basis. However, there are very specific tests that are generally not part of conventional medicine that can be done by naturopathic doctors to provide specific information about foods, the way you break down your food and pathological microbes that could contribute to the onset of disease and the progression of disease. While studying to become a naturopathic doctor, I experienced symptoms of IBD for about two and a half years and then it went into remission for two years. For me, the stress of school, performance and grades triggered an IBD flare. While stress was a contributing factor to my flare, I knew that I had to also get my diet back on track. Like most people with IBD, when symptoms go away for a long enough time, the thought is that we can "cheat" a bit with the foods we eat, which is the trap I fell into. Being in school and learning about the different types of therapeutic diet regimes, I decided I would try the "Hypoallergenic Diet", also known as the Elimination Diet. 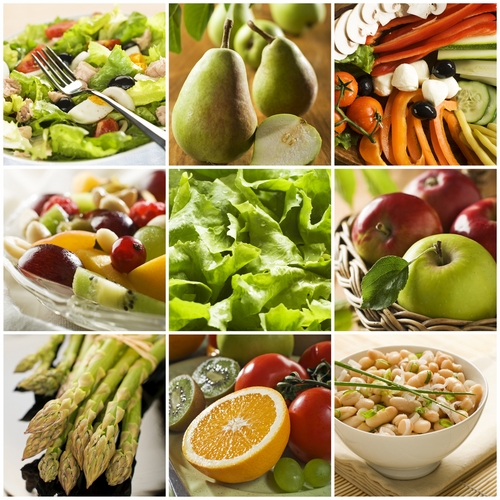 This is a diet that has great clinical value in establishing what and how foods affect you. I use this diet in practice regularly with patients. However, for some it may not be specific enough and may be too labour intensive. After being on the hypoallergenic diet for awhile, I noticed improvements but not remission. I was disappointed and could not understand why I was still having symptoms. I was eating gluten-free, dairy-free, egg-free and still not feeling 100%. One of my naturopathic professors told me about a blood food sensitivity test that was commonly used by naturopathic doctors in order to determine what foods the immune system was overreacting to and, therefore, causing inflammation in the body. The immune system exists to defend the body against bacteria, viruses and any other potentially harmful organisms. It protects the body by producing cells called immunoglobulins, also called antibodies. There are five major immunoglobulins: IgA, IgD, IgE, IgG and IgM. Each one of these components produces a different kind of physical reaction in the body. Let's compare. When you go to the medical doctor or an Allergist to test for food allergies, they will typically perform a skin prick test or a double-blind, placebo-controlled oral food challenge in order to test for IgE reactions. IgE reactions are considered true food allergies. IgE reactions typically occur within minutes of exposure to or ingestion of a food antigen. Commonly observed IgE reactions include: hives, itchy watery eyes and breathing difficulties. They are considered anaphylactic-type reactions. 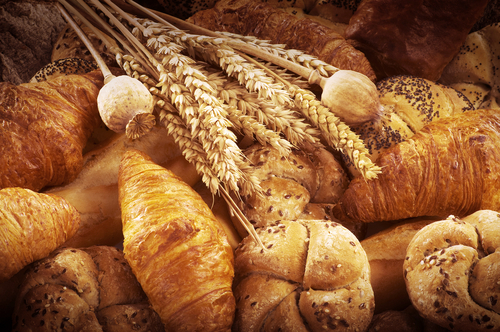 Food Sensitivity is a term that usually refers to delayed immune reactions to foods. For example, IgG and IgA reactions to foods are commonly referred to as food sensitivities because they don't always cause immediate reactions. They can take anywhere from the time the food hits our digestive tract to 3 days later. The reactions can vary and compound based on the amount and combination of foods we consume. In an IgG reaction, the IgG antibodies attach themselves to the food antigen and create an anti-body-antigen complex. Special cells called macrophages normally remove these complexes. However, if they are present in large numbers and the reactive food is still being consumed, the macrophages can't remove them quickly enough. The food antigen-antibody complexes accumulate and are deposited in body tissues. Once in tissue, these complexes cause inflammation which plays a role in numerous disease and conditions. Of the five major antibodies circulating in the bloodstream, IgA is produced in the greatest quantity on a daily basis. IgA antibodies are the first line of defence against suspected disease-causing agents like viruses and bacteria. IgA antibodies to specific foods may form when the lining of the intestinal tract becomes inflamed or damaged due to stress, alcohol, medications or other inflammation-causing conditions. Elevated IgA to specific foods is widely believed to be a sign of damage to the mucous membranes in the gut. Individuals with Crohn's Disease or Ulcerative Colitis, or even those with suspected "leaky gut", may benefit from testing IgA food reactions. Imagine your body is a pool. Now imagine Sumo wrestlers have decided to have a pool party using your pool. The 1st Sumo wrestler named "Dairy" cannonball jumps into the pool. He makes a big splash. Then the water calms down fairly quickly, but the water level of the pool rises. Then the 2nd Sumo wrestler, "Eggs", dives in. The water levels rises a bit more. Now here comes the 3rd, "Gluten", who gracefully slips in. Now the water level is as high as the pool can hold. Now comes along skinny little "Sesame". He is all ready with his water noodle and jumps right in the middle of all the Sumo wrestlers. YOUR POOL EXPLODES! So, whose fault is it that the pool exploded? Your body is like a pool, in the sense that it is designed to hold a certain load. We all have different foods that cause our systems to reach capacity. So, when that happens, symptoms of inflammation occur (i.e. the pool exploding). This is what happens when our body is having an IgG/IgA reaction. I will often hear patients say "Sometimes foods bother me and sometimes they don't. I can't figure it out!" That is how I felt before I completed a food sensitivity test and discovered that I had an extremely high sensitivity to sesame seeds! Five to ten years ago there were not many options for gluten-free or dairy-free foods that did not contain sesame seeds. No wonder I wasn't getting better. After my food sensitivity test, I adjusted my diet accordingly and very quickly saw and felt the benefits. I never would have figured that out without doing a food sensitivity test. Food sensitivity testing is a valuable and cost-effective way of determining what specific foods you should be avoiding, whether you are dealing with IBD, Crohn's disease or any other symptoms or conditions. Many naturopathic doctors recommend determining your food sensitivities as the starting point to creating a treatment plan that works for you. To find out more about food sensitivity testing, contact Naturopathic Foundations at 905-940-2727 to book an appointment with Dr. Kimberley Ramberan, ND. This is the third in a 12-part series on the Irritable Bowel Disease. We encourage you to check out the other blogs by Dr. Kimberley Ramberan, ND. Getting outside into nature has been one of the primary prescriptions naturopathic doctors have been giving their patients across centuries. This simple, affordable and accessible ‘treatment’ is starting to gain support in the research community as well. Most recently, research being done out of Baycrest’s Rotman Research Institute in Toronto is focusing on the effects of time spent in nature on memory and cognition. This research shows that a 50-minute walk in nature can improve memory and focus by 20%. Interestingly, the positive effects were even more pronounced in individuals diagnosed with depression. A walk in a busy urban environment, on the other hand, doesn’t have any significant effects on either memory or cognition. Don’t think that the benefits of being out in the trees can only be found on sunny days. The same benefits are observed in February as in June, despite participants reporting not enjoying their winter walks as much. Other researchers are finding the benefits of being in nature extend well beyond memory. Getting outside in nature helps with ADHD, surgery recovery, breast cancer, elevated cortisol (our stress hormone) and high blood pressure. So why is being in nature so good for us? Our current understanding is that time in nature acts in a “softly fascinating” way. Looking at trees, leaves, water and clouds holds our attention, but not too much. This balance lets us de-focus and self-reflect in a way that the bore of a dark room or the over-stimulation of TV wont allow. It’s clear that finding ways to spend time in nature is one of the most important things you can do for your health. 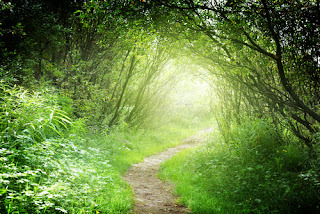 Take ‘green breaks’ at work and go for a walk in a park or a green space near you. Schedule a walk on the weekend with friends rather then going for coffee. There are countless ways to incorporate nature into your daily routine. For more information on the benefits of being in nature, or for some tips on how to work your 30 minutes in every day, please talk to one of our naturopathic doctors. A well balanced diet plays an integral role in achieving proper nutrition and health for everyone. It is even more important for those who have been diagnosed with inflammatory bowel disease (IBD). These individuals have a harder time extracting the nutrients from their food as the integrity of their digestive tract has been compromised and weakened by inflammation. Inflammation damages the small, finger-like cells in the intestines called intestinal villi. These villi increase the surface area of the intestine allowing your body to breakdown complex nutrients like proteins into amino acids which are the building blocks of our tissues . They also contain enzymes that aid in digestion. Needless to say, when villi become damaged, the body's ability to derive the nutrition it needs from food is decreased. People with IBD, in particular, have to be diligent about the food choices they make in order to avoid malnutrition (which leads to a cascade of other issues) and dehydration. "But what do you do when it feels like everything you eat hurts, makes you nauseated or causes you to run to the bathroom?" That is one of the first questions I asked my initial Gastro-Intestinal (GI) Doctor when I was first diagnosed with IBD . His answer to that question is one that I have heard many times in my personal journey and when I treat people with IBD. He said, "It absolutely DOES NOT matter what you eat." So, during my first IBD flare and not knowing much about diet, I decided to eat whatever was convenient at that moment. My food of choice, as a 18 year old, was pizza pockets. It was the only thing that was appetizing to me. However, after I ate, more pain and more frequent bowel movements would always follow. I realize now that I wasn't craving the pizza pocket itself but the fat content and simple carbohydrates. This thought led me to view cravings clinically as a clue to what nutrients patients could be deficient in. For example, (this is for all the chocolate lovers out there) if you are craving chocolate on a daily basis, this could potentially indicate a magnesium deficiency. So, take note of what you are craving and make sure to talk to your Naturopathic Doctor about it. I also thought that in order to function at a somewhat normal academic level and continue to see my friends, I would only eat at night so I wouldn't have symptoms during the day. While the hunger was present, the pain wasn't and that worked for me. The eating patterns that I developed quickly led to malnutrition and dehydration which had their own effects on my body such as fatigue, gas pain, hair loss, mood changes, inability to focus and so on. After my initial diagnosis, I visited a Naturopathic Doctor and was informed that, in fact, food does matter a lot. It made sense when I thought about it. What I was eating directly came into physical contact with the part of my body that was sick. My intestines would either react negatively with inflammation or positively with healing. He proceeded to completely change my diet and the specifics about the way I ate. When I first started to implement the changes he recommended, it felt like nothing was changing but, after the first week, I started to notice that I had less pain, less blood, less bowel movements and, most important to me a the time, I began to be able to sleep through the night without being awakened by painful cramping. Every week got a little better, until one day (which I remember vividly), I had no symptoms after I ate. The happiness I felt in that moment when I realized "I could do this" was incredible. Before visiting a Naturopathic Doctor, there was a part of me that doubted I would ever feel "normal" again but now I did. I knew that what I put into my body would make or break my remission and I was determined to make it. It wasn't easy, I will say, and 10 years ago there were a lot less options than there are available now. My new diet took some getting used to and a lot of trial and error. When it became difficult to make good food choices, I reminded myself I never wanted to go back to that place physically or mentally again and that continuing with my diet was what I had to do. Two years after my initial diagnosis, I decided to become a Naturopathic Doctor. I took every opportunity in school to learn and research everything I could about what I could do in order to optimize diets to help the gastro-intestinal tract heal. When in school, I realized quickly that I had barely scratched the surface. There was science behind how food can cause inflammation and Naturopathic Medicine had a lot to offer on this topic. What I have learned is that one of the first changes a person needs to make is removing raw food until the gastro-intestinal mucosa has healed. 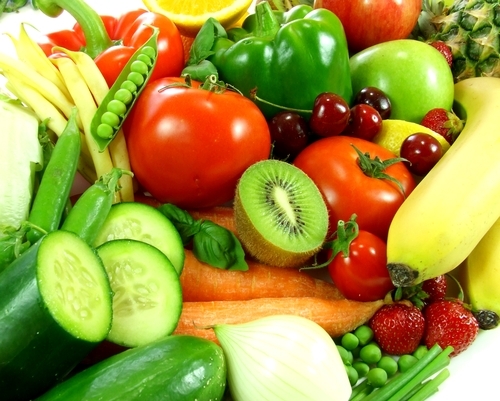 Raw food has a rough quality due to all the fibre it is composed of. Fibre's job is to go into our system and scrape against the waste that is stuck to the colon wall. While in a healthy system this is ideal for proper colon function, in a system where the walls of the colon are weak and ulcerated, this is the last thing you want to do. Additionally, raw food requires more digestive enzymes to break it down so we can absorb nutrients from them. Cooked food is more gentle on a compromised digestive tract and requires less work to break it down as the heat from cooking has already started that process. Softer food, especially in a flare, will give the body a chance to heal while still getting the required nutrients. Every person is different, therefore, every diet has to be tailored to meet the individual's needs. Learning how the specific foods trigger an inflammatory response in your system is key to decreasing inflammation and choosing the best diet for you. I tried many types of diets through my journey. While most of them had value, I always felt there was something missing until I learned of a test that was able to measure what foods were causing inflammation in my system. This was amazing to me because I realized I could take the guess work out of what was affecting my system. The test helped me identify an unexpected food item that was causing my inflammation and gave me the last key piece in completing IBD food puzzle. So let me ask you this - Do You Think Food Matters? ***In next month's blog I will be focusing on IgG & IgA food sensitivity panels as well as the different types of testing that are important in monitoring patients with IBD. To book an appointment with Dr. Kimberley Ramberan, ND, please contact Naturopathic Foundations Health Clinic on 905-940-2727. This is the second in a 12-part series on the Irritable Bowel Disease. We encourage you to check out the other blogs by Dr. Kimberley Ramberan, ND. As of July 1st, 2015, naturopathic medicine will now be regulated under the Regulated Health Professions Act (RHPA) which is the umbrella legislation that governs all regulated health professions in Ontario. Naturopathic medicine has been regulated under the Drugless Practitioner's Act since 1925. The scope of practice for Ontario naturopathic doctors has steadily increased since 1925 and includes gynecological exams, rectal exams, naturopathic manipulation, acupuncture, intravenous therapy, taking blood samples and communicating a naturopathic diagnosis. The Drugless Practitioner's Act was an antiquated Act that did not provide the same degree of regulatory structure as other regulated health professions and restricted the scope of practice. In order for naturopathic doctors to have the level of regulation commensurate with other regulated health professions in Ontario the profession had to move under the RHPA. In 2007 the Naturopathy Act was passed and the decision to move naturopathic doctors under the RHPA was confirmed. At the time that the Naturopathy Act was passed, naturopathic doctors were informed that they would maintain their current scope of practice. Proclamation has taken a number of years. But, we are pleased to announce that naturopathic doctors in Ontario have, for the most part, maintained their full scope of practice. Click here for the link to the College of Naturopaths of Ontario (CONO) to access the list of the controlled acts. One of the positive things that will happen under the RHPA is that the College of Naturopaths of Ontario (CONO) will be able to ensure that anyone who uses the title naturopath or naturopathic doctor has received the training that they require. The terms naturopath, naturopathic doctor, ND and others are now officially protected titles. Taking of blood samples: Although naturopathic doctors have been authorized the act of taking blood samples according to the Laboratory and Specimen Collection Centre Licensing Act, they are currently not allowed to take blood samples that have to be sent to a lab for analysis as an inspection program has not yet been developed and approved and the access for standard medical blood testing has not been written into the Controlled Act. The Controlled Act, currently, only allows for point-of-care blood samples for seven laboratory tests that are assessed in-office. For standard medical blood test naturopathic doctors will, for the time being, have to provide patients with a requisition form and have patients visit an Ontario laboratory facility for the blood draw. Results will still be sent directly to their naturopathic doctor. Although the blood will be drawn at an Ontario laboratory facility, the blood work will not be covered by OHIP. Range of laboratory tests: Prior to proclamation, naturopathic doctors were able to order any laboratory test. During the consultative process a list has been created which defines what laboratory tests naturopathic doctors are able to order. Generally speaking, the list is fairly comprehensive and includes 194 laboratory tests, but there are some common laboratory tests or test panels that did not make it to the approved list. Click here for the list of approved laboratory tests, or talk to your naturopathic doctor directly. The OAND and the naturopathic profession will continue to work with the CONO and the MOHLTC to seek inclusion of the remaining laboratory tests that are required. Handling of external laboratory tests: Thankfully, naturopathic doctors maintained access to a number of external laboratory tests, but similar to blood testing, the handling of external laboratory testing, such as saliva testing, urine testing for environmental toxins, urinary organic acid testing, will be handled differently than it is now. The process is not completely worked out, but it most likely will involve your naturopathic doctor providing patients with a collection test kit and having them return the kit to an Ontario laboratory facility for shipment to the external lab. Your naturopathic doctor will be able to clarify the new process and any change to fees when they provide you with the test kit. Prior to proclamation only those naturopathic doctors that were IVIT certified were able to prescribe a select list of drugs and substances as part of their IVIT treatment. The following is the update on prescription rights and IVIT therapy. List of IVIT substances: Most of the substances that naturopathic doctors have been using for intravenous therapy (IVIT) are included on the prescribed list, yet there are a few that have been removed at this time. The OAND and naturopathic profession will continue to work with CONO and the MOHLTC to add back the substances that have been omitted. IVIT treatments: Under the new regulations that requirements for IVIT practitioners are much stricter and ensure optimal patient care. Any naturopathic doctor that meets the new standards and that passes the prescribing course will be able to continue to offer patients IVIT treatments. Prescription rights for non-IVIT naturopathic doctors: The controlled act of prescribing primarily relates to substances that are used in IVIT treatments, but under the new RHPA regulations there are a few substances that non-IVIT naturopathic doctors will have the ability to prescribe once they successfully complete a prescribing course. The substances that have been added include bio-identical hormones estrogen and progesterone and thyroid hormone, as well as the ability to prescribe high doses of Vitamin D, Vitamin A, Vitamin K and Folic acid. There are a lot of positives about the move to the RHPA, but there will be some challenges during the transitional period. Generally speaking, patients that are working with naturopathic doctors will primarily experience changes with respect to the handling and access to laboratory testing. If you have any questions about these regulatory changes, I encourage you to visit the CONO website at: www.collegeofnaturopaths.on.ca/, the website of the Ontario Association of Naturopathic Doctors at www.oand.org or talk directly to your naturopathic doctor. This is an exciting time for the naturopathic profession. These regulatory changes will ensure greater patient safety, increased clarification as to the scope of naturopathic doctors and will increase the opportunity for intra-professional collaboration and support. It is a great time to work with a naturopathic doctor to optimize your health.